Home Tips Stop Bird Poo Damaging Your Paintwork With These Top Tips! Bird poo is a problem that affects millions of cars each year. Apart from living somewhere that has no bird population, it is a problem that you will have to deal with as a car owner! 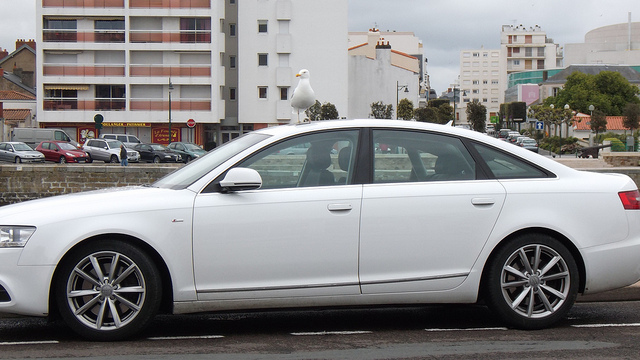 I know that bird poo can be an annoying problem, especially if you have a light-coloured car. But the good news is that there are some practical ways of protecting the paintwork on your car. And it doesn’t involve you having to drive around with a giant plastic sheet on the roof of your pride and joy! Here is what you need to know. How can bird poo damage my car’s paintwork? Some people believe that the acid inside of bird excrement can attack the paintwork. But there is a different reason bird poo can be a nuisance. Especially on expensive custom paint jobs! All cars have a transparent paint coating – lacquer. When birds fire poo in the direction of your car, it becomes solid as it dries. If the bird poo is on your car’s paintwork for a long time, the lacquer can expand and contract around it when the weather is warm. When that happens, and you get around to cleaning it off, the paintwork underneath can appear dull or etched. The only way to resolve these problems is to polish the affected area. But the bad news is that the polish can remove a thin layer of lacquer, causing it to become more vulnerable. As you can tell, the best thing to do is to clean any mess up as soon as possible. The only thing is it’s not always practical to do so. But don’t worry, because there is a light at the end of the tunnel! By following these top tips, you will lessen the likelihood of bird poo doing any lasting damage on your pride and joy! Part of your responsibility as a car owner is to keep your vehicle clean at all times. That is more of a safety need rather than being down to aesthetics. But if you want to limit the amount of damage bird poo can do to your car, you will need to wash it on a regular basis! I recommend investing in a pressure washer. That will save you time when you wash your car. But it can blast off any bird poo remnants without resorting to laborious elbow grease! If you’ve got the cash, use a snow foam product to wash your car. Saxton 4×4 use snow foam when they wash their Land Rovers, and it offers great results! After you have cleaned and dried your car, you should apply a wax product to the bodywork. That will make it easier to clean any future bird poo, and it will also make your paint look like new! When you are out on the road, consider parking somewhere away from trees. Birds often sit by trees, and they are likely to drop deposits onto your car as they fly away from it. Next articleWhat Are The Top Reasons For Car Insurance Premium Hikes?